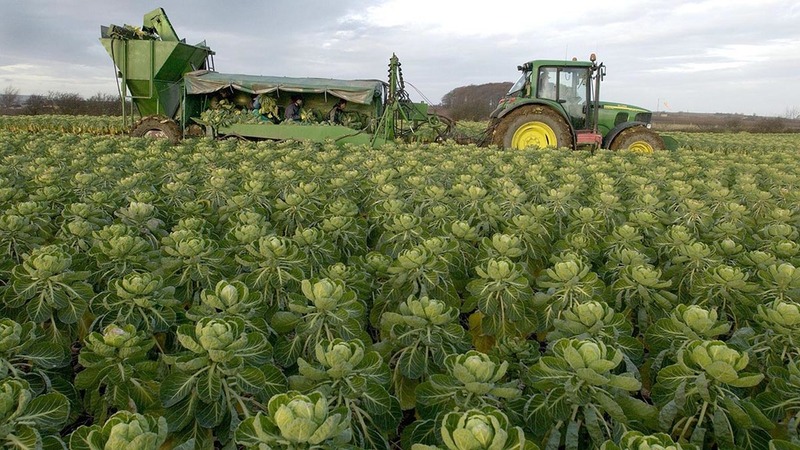 Faced with mounting concerns over labour shortages and fears they may not be able to fulfil retailer contracts, some British growers have sought to cut ties with UK supermarkets in favour of companies elsewhere in Europe. Law firm Hewitsons said it knew of two UK growers who had already switched to supplying Spanish and Portuguese businesses, adding others had indicated they were exploring the possibilities in other European countries. Partner in Hewitsons and head of its agriculture team, Denise Wilkinson, said as part of the deals, buyers were able to provide pickers for farmers in the UK where workers were in short supply. Mrs Wilkinson said it had become an attractive option, especially for those in danger of being penalised for not fulfilling supermarket contracts. “Growers who fail to meet their contract obligations can face significant financial penalties and may need to source from elsewhere, which could be a significant cost, particularly if the supply has to be from overseas,” she added. It came as the latest Association of Labour Providers (ALP) survey found only 30 per cent had been able to supply all their clients’ needs in the last three months and 36 per cent did not expect to be able to supply sufficient workers for the Christmas peak. Speaking to Farmers Guardian at Sainsbury’s Farming Conference, the retailer’s chief executive Mike Coupe said while his firm had not seen any issues to date, the labour situation was ‘critical’ as businesses looked to 2018. “We have had heard concerns from our suppliers about labour going into next year,” said Mr Coupe. Director of food and sustainability at the British Retail Consortium, Andrew Opie, said retailers depended on efficient domestic supply chains which had access to the ‘right skills and resources at the right time’. “It is important we address pressures on labour in the whole supply chain, both immediately and through a new, sustainable immigration system that supports businesses and has the confidence of the public post Brexit,” he added. NFU horticulture and potatoes board chairman Ali Capper said growers who failed to source adequate labour had been forced to let crops rot in the fields. She said: “Horticulture has approximately 80,000 seasonal roles each year. In May 2017 the sector had a shortfall (of workers to vacancies) of 17 per cent, in June, July and August this was at 13 per cent. In September we saw a shortfall peak of almost 30 per cent and in October, 17 per cent. Ms Capper described the prospects for 2018 as ‘bleak’. “Unemployment levels across northern, eastern and western Europe are low,” she added. “Every country in the EU has a mechanism to temporarily bring non-EU workers to fulfil these seasonal roles. “The UK is out on a limb as a country that cannot bring non-EU workers to do these jobs. Chairman of NFU Scotland’s horticulture committee James Porter added: “If there is a problem next year and crops do not get harvested the Government will not have a leg to stand on because everyone has been telling them how urgent this situation is.